When I logged in to Twitter this morning, for a moment I thought everyone was talking about this track. Upon closer inspection though it would appear it was in relation to some old woman falling over at some brown-nosed event last night. 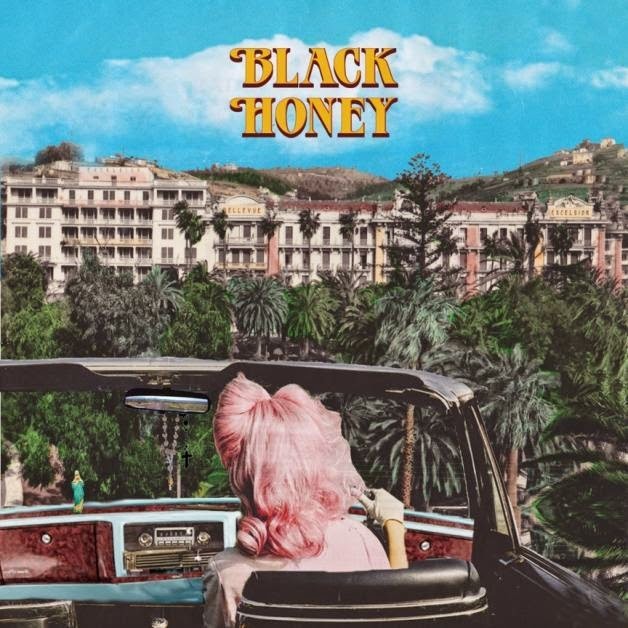 A shame really, because they really should all be talking about this, Madonna, the latest single from Brighton-based quartet Black Honey. Renown for their well established sprawling guitars and angsty female vocals, the band's latest effort draws from their distinct influences once more as they look set to build on their previous successes with a tornado inducing sound. Take a listen above to its swathing psychedelic nuances. Madonna will be available as part of a double A-side single backed with 'Spinning Wheel' released physically (CDs) via Duly Noted Records on April 6. The first 5 records (1-a-day) will be available via bidding on eBay where the band will also include exclusive polaroids meaning for the first time fans from outside of the UK will be able to purchase the band's material.